Over the years, First Rate Property Management has donated thousands of dollars and volunteered an untold number of hours to local and national charities. It's meant more to us to donate without recognition, which is why this is probably the first time you are learning of this. However this year, we're not just donating, we're hoping to raise money for one of our charities. Last year we had a few vendors ask to be involved with one of our charity events and the result was a much more rewarding experience for everyone. 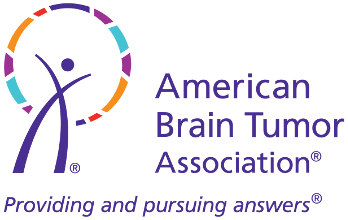 So in 2015, we're hoping to create that rewarding experience with many more as we look to raise funds for the American Brain Tumor Association. First Rate Property Management is matching all donations up to a certain dollar amount from our employees, vendors, property owners, and tenants. Our goal is to raise $5,000 by the end of August. If you don't have any particular charity this year, we would be honored if you would join FRPM in this endeavor. First Rate Property Management is not the only company participating in this charity fund raising event. See the attached article from the National Association of Residential Property Managers. Since FRPM is one of thousands of property management companies looking to raise funds, and because we need to track those funds and our progress to our goal, please write your donation check payable to "The Hampton Roads Foundation" -- referencing the ABTA on your check -- and mail or drop off to First Rate Property Management at 7150 Potomac Drive, Boise, ID 83704. First Rate Property Management will forward your donation to the Hampton Roads Foundation and the ABTA. That way we can track the funds our owners, tenants and contractors donated, and everyone who donates will receive a receipt to use for tax purposes. This year, it was I who chose the ABTA to be our main charity. It's my hope that with raised awareness and increased donations, research will provide better diagnosis and treatment options. Over the years, I have had a number of friends affected by brain tumors. My first was the loss of a childhood friend of mine around the age of 11. Most recent, was the loss of my friend, Tim Gaskill. Tim passed away 3 years ago. The brain tumor took his life within 5 months of learning he had one. I can only hope that the funds we raise can help early detection, prevention, and cure of brain tumors. Please view this video from the American Brain Tumor Association about one family's brain tumor experience.